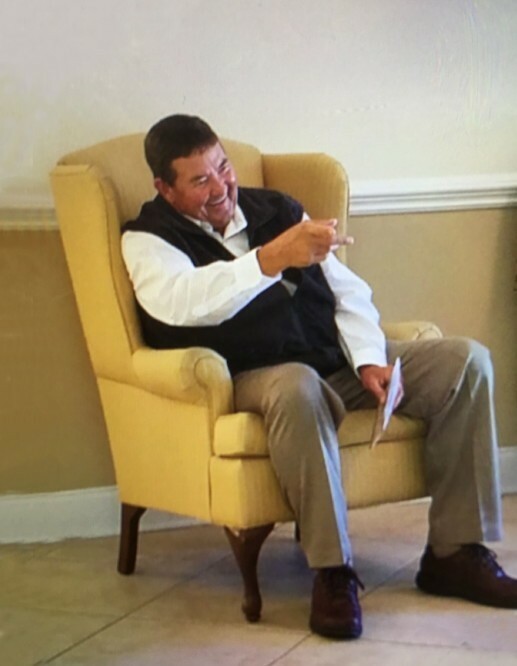 Dale Thigpen, 63, husband of Wanda Feagin Thigpen, died Saturday, February 2, 2019, at McLeod Regional Medical Center, after an illness. Funeral services will be 4:00 PM, Sunday, February 3, 2019, at Camp Branch Pentecostal Holiness Church, Scranton. Burial, directed by Carolina Funeral Home, will follow at Floyd Chapel Pentecostal Holiness Church Cemetery, Lake City. The family will receive friends from 3:00 – 4:00 PM, Sunday, February 3, 2019, at the church, prior to the services. Dale was born on July 4, 1955, in Florence County, son of the late H.L. Thigpen and Vivian Fitch Thigpen. He was a graduate of Salem High School, a retired truck driver and former owner of Dale Thigpen Trucking. A member of Camp Branch Pentecostal Holiness Church where he served as deacon, Dale was a man of extreme faith, who enjoyed worshipping and singing in church. He was a loving husband, daddy and grandpa and enjoyed spending time with his family. Surviving are his wife, Wanda F. Thigpen of Lake City; daughters, Jennifer T. (Bradley) Epps and Brandi T. (Hugh) Porter; grandchildren, Ethan Porter, Hannah Porter, Natalie Porter and Abby Epps; sisters, Renee (Tim) Halstead and Teresa (Bubba) Gray, both of Lake City; special aunts, Marilyn Wilson, Shirley Fitch and Bernice Robinson; and a number of nieces and nephews, including a very special nephew, Reverend Chad Culick.